In spring there is a sparkle in the air and birds begin to sing. Herts Highways celebrated by resurfacing Leyton Road outside Park Hall on 23rd February making access and parking difficult for The Society’s public meeting on Harpenden schools. 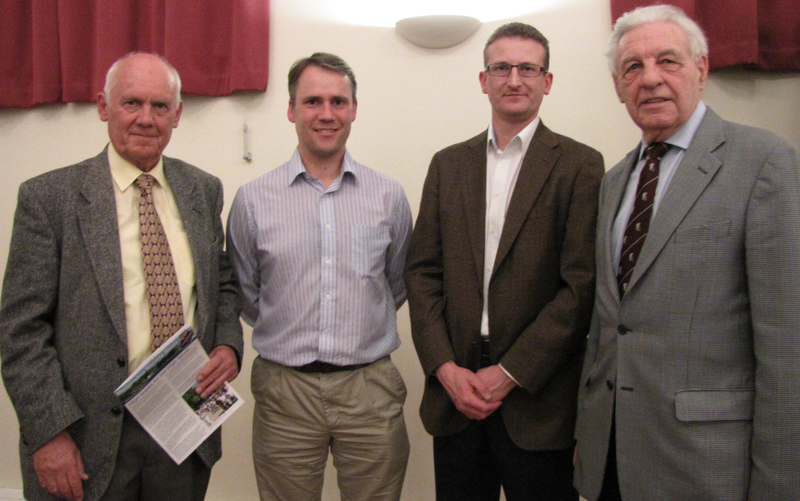 The hall was filled and the lively debate showed the concern of residents about the shortage of school places in the town. It affects children, parents, would-be parents and grandparents - that’s most of us! 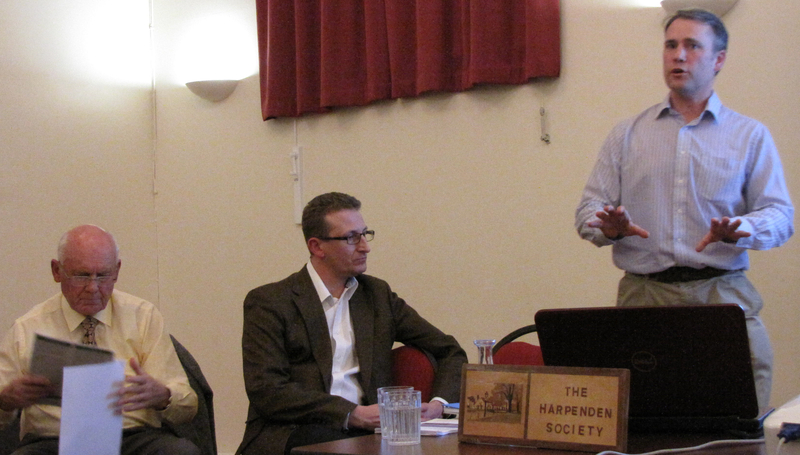 The speakers panel comprised noted educationalist Dr Eric Midwinter and David Beer and Ben Bardsley of the recently formed Harpenden Parents Group. Eric Midwinter spoke first on the importance of community schools to a community like Harpenden where its size and compactness should enable all our children to go to a school near their homes and walk there. David Beer of the Harpenden Parents Group then described what had led concerned parents to set the group up in 2011 - a shortage of primary school places meant that 30% of eldest children did not get any of their preferred schools on allocation day. Many learning where they would go only at the last minute. This shortage is likely to continue, and the emergency measures that the County implemented in 2011 cannot be repeated indefinitely. David’s colleague Ben Bardsley spoke about shortages in secondary school places. While our primary schools cater only for Harpenden children, our secondary schools must be open to children from Redbourn, Wheathampstead and Kimpton. Thus extending the problem as primary schoolchildren move up to a local secondary school. Primary and secondary school places has not grown in step with the rise in the local birth rate, the numbers of children moving into the town and a rise in the number of dwellings. The arrival of a Free School in the town may not help if the places are filled by children from elsewhere and anyway it is not planned to be a secondary school. Ben said the town needs a new secondary school now. A lively debate that followed included parents, school governors and concerned residents. Before closing the meeting Chris Marsden recommended that the Society should try to convene a follow up meeting with the County so that we can all better understand the difficulties facing them in providing school paces for our children and what can be done.